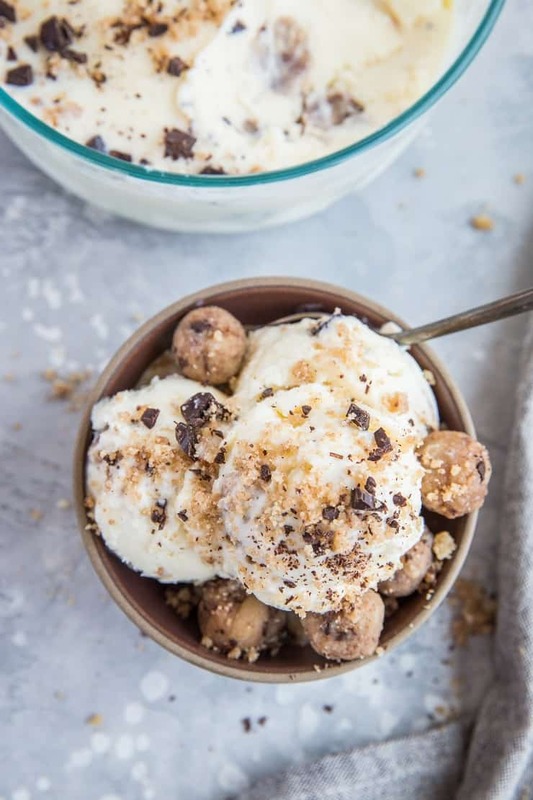 Better than store-bought Keto Cookie Dough Ice Cream – made low-carb with various sweetener and milk options to tailor to your personal preference. 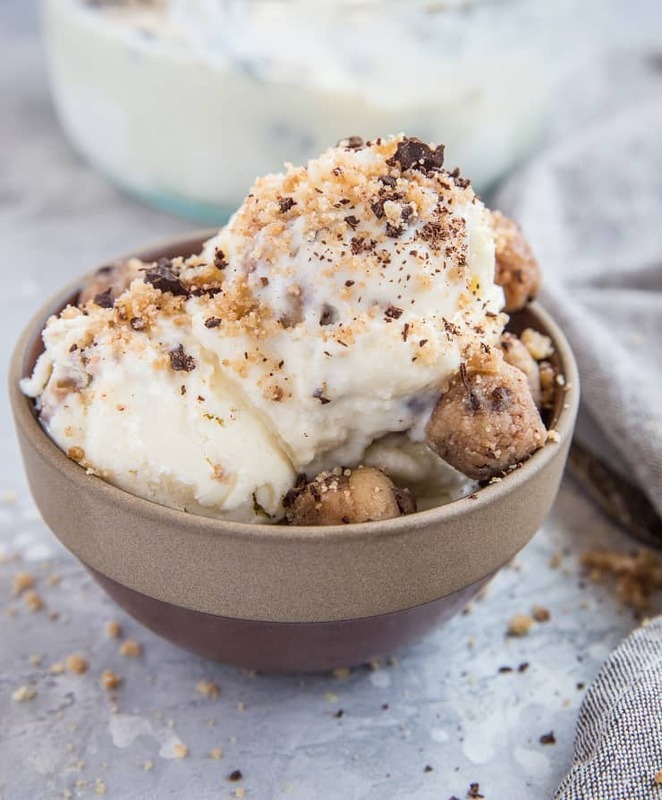 When I posted my Keto Coffee Ice Cream Recipe, I concluded there’s just no picking a favorite ice cream flavor. Different foods for different moods, right? WELL, cookie dough ice cream has always been one of my favorites. Those chewy hunks of chocolate chip cookie dough lovin get me every time. For me, the ratio is mega important…you don’t want too much cookie dough, but too little is far worse. So I made sure I got the ratio of cookie dough : ice cream just right for this recipe. If I played my cards right, you’ll get one ball per bite. Kidding…kinda. In all seriousness, this keto cookie dough ice cream is wicked amazing. Creamy in all the right places, and the dough is nice and chewy. Just like store-bought, but without the crazy amounts of sugar. 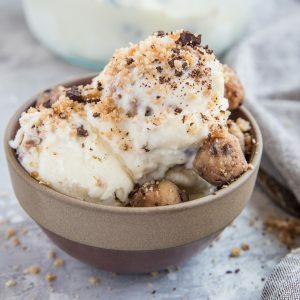 This recipe combines two of the recipes I have already posted on this site: my Vanilla Keto Ice Cream, and Keto Edible Cookie Dough. Simply whip up one batch of each and slam them together. While ice cream base is chilling in the refrigerator, prepare the edible cookie dough. Roll the cookie dough into bite-sized balls and freeze. Once chilled, churn the ice cream in your ice cream maker. This is the ice cream maker I use. If you don’t have an ice cream maker, no sweat – you can skip this step. 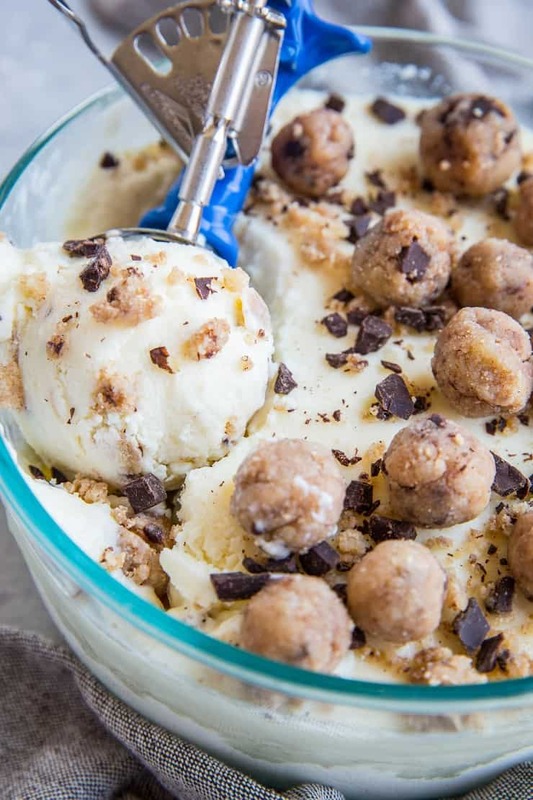 Fold the frozen cookie dough bites into the ice cream and transfer to a freezer-safe container (I like using glass tuperware). Freeze until solid, about 3 to 4 hours. 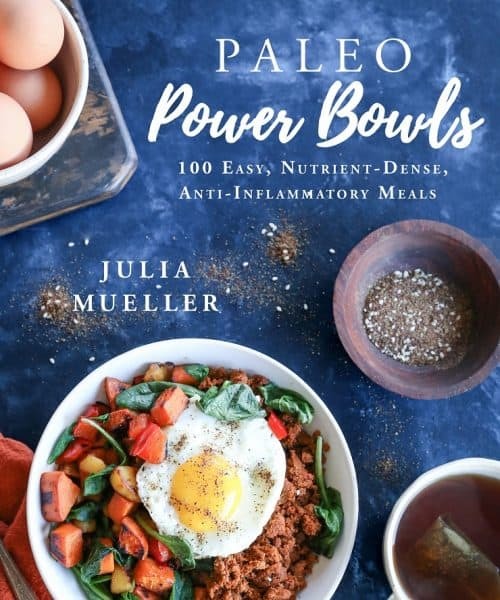 If you want to get fancy, you can whip up my Chocolate Magic Shell or Paleo Salted Caramel for drizzling over your already sinfully tasty ice cream (just be aware that the magic shell and caramel are paleo but not keto). 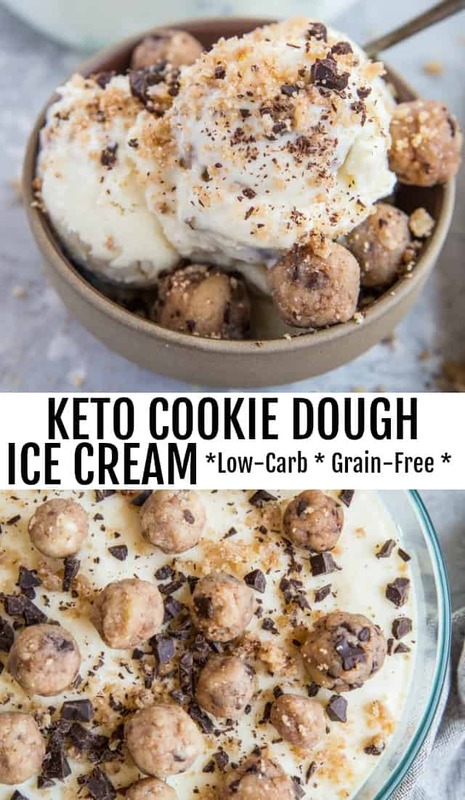 Remember to read all of the text in both the Keto Vanilla Ice Cream and Keto Edible Cookie Dough posts so you’re aware of all of your milk and sweetener options – there are a lot! You can easily make this dairy-free, and change up the sweetener to your heart’s delight. So much freedom in this baller bowl. 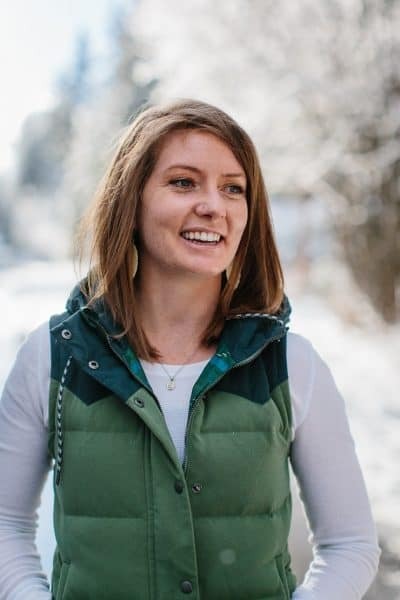 Keto cookie dough ice cream for prez! Prepare the vanilla keto ice cream according to the instructions. 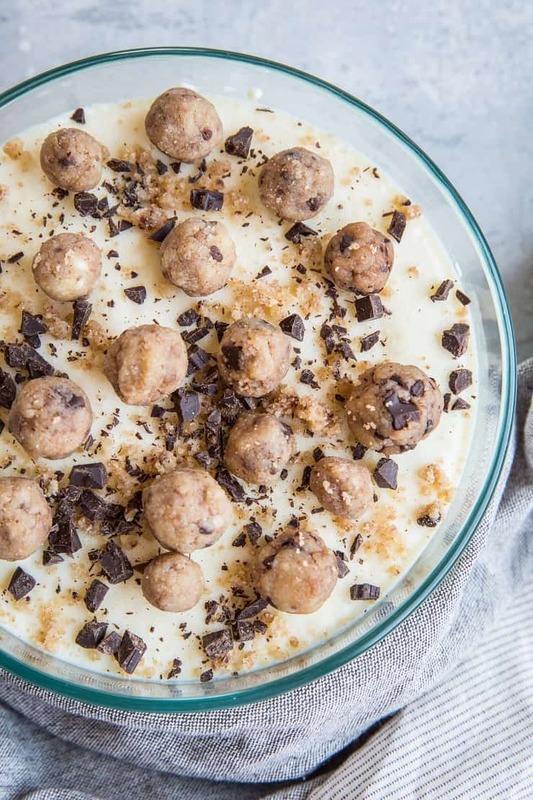 While the ice cream base is chilling in the refrigerator, prepare the keto edible cookie dough and roll it into bite-sized balls. Transfer cookie dough balls to a freezer-safe container and freeze. 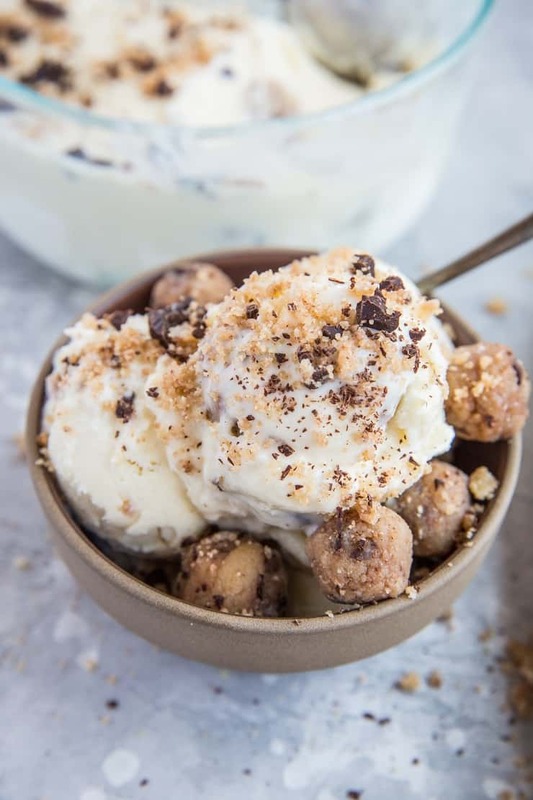 After churning the vanilla ice cream in your ice cream maker, stir in the edible cookie dough balls (note: if you don't have an ice cream maker, simply stir the cookie dough into the ice cream custard base and freeze). Transfer the ice cream to a freezer-safe container and freeze until solid, about 2 to 3 hours. When ready to serve, thaw the ice cream 8 to 10 minutes. Scoop and serve!